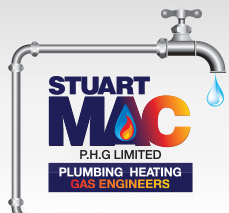 Stuart Mac undertakes all aspects of plumbing, heating and gas. Please click on the images below to find out more information about our specific services. You can also use the menu on the left hand side to browse our testimonials; find out more about Stuart Mac; or use our online contact form.